Ohio’s Department of Commerce, which has already awarded Tier 1 and Tier 2 provisional cultivation licenses and named 370 dispensary applicants, announced today 104 applications for up to 40 processing licenses. 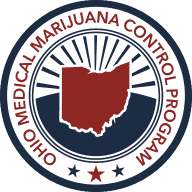 The complete list of applicants was posted to the Ohio Medical Marijuana Control Program website. The applicants include at least two publicly-traded companies, with Liberty Health Sciences (CSE: LHS) (OTC: LHSIF) and MPX Bioceutical (CSE: MPX) (OTC: MPXEF). The entity for Liberty is Schottenstein Aphria II LLC, while the entity for MPX Bioceutical is Health for Life Ohio. Several well known multi-state operators also applied, including Columbia Care, Cresco Labs, GTI, Harvest and PharmaCann. Winners of Tier 1 cultivation licenses that also have applied for processing licenses include AT-CPC of Ohio, Buckeye Relief, Columbia Care, Cresco Labs, Grow Ohio Pharmaceuticals, Harvest, OPC Processing, Parma Wellness, Pure Ohio Wellness, Rivera Creek Holdings, Standard Wellness Company, and Terradiol Ohio. The state intends for the medical cannabis program to go live in September.